Abstract: The genetic structures of past human populations are obscured by recent migrations and expansions and have been observed only indirectly by inference from modern samples. However, the unique link between a heritable cultural marker, the patrilineal surname, and a genetic marker, the Y chromosome, provides a means to target sets of modern individuals that might resemble populations at the time of surname establishment. As a test case, we studied samples from the Wirral Peninsula and West Lancashire, in northwest England. Place-names and archaeology show clear evidence of a past Viking presence, but heavy immigration and population growth since the industrial revolution are likely to have weakened the genetic signal of a 1,000-year-old Scandinavian contribution. Samples ascertained on the basis of 2 generations of residence were compared with independent samples based on known ancestry in the region plus the possession of a surname known from historical records to have been present there in medieval times. The Y-chromosomal haplotypes of these 2 sets of samples are significantly different, and in admixture analyses, the surname-ascertained samples show markedly greater Scandinavian ancestry proportions, supporting the idea that northwest England was once heavily populated by Scandinavian settlers. 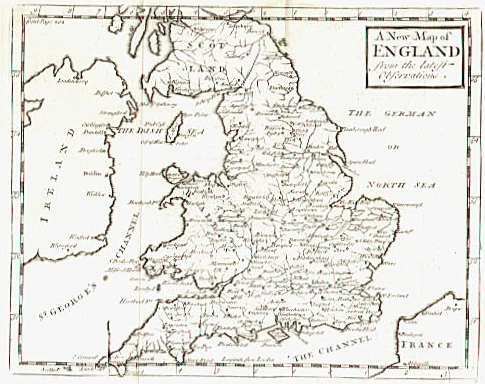 The method of historical surname-based ascertainment promises to allow investigation of the influence of migration and drift over the last few centuries in changing the population structure of Britain and will have general utility in other regions where surnames are patrilineal and suitable historical records survive. Introduction: Studies of the human past draw on lines of evidence from many fields, including paleoclimatology, archaeology, paleontology, linguistics, and history, and recent years have seen an increasing influence of genetics. Unlike most other sources of evidence, genetic studies generally rely upon the collection of data from contemporary sources—modern, living populations—and use various statistical methods of inference to make deductions about events many generations ago. However, modern populations have been influenced by recent migration and expansion, associated with events such as the industrial revolution, and may provide a blurred and misleading picture of the past. Ancient DNA methods have promised direct access to the genetic diversity of past populations, but unfortunately the practical difficulties of retrieving verifiable and contamination-free DNA data mean that sample sizes are inconveniently small for population genetic analysis, except in rare cases of exceptional preservation.